Ensure your brand is at the centre of any large event or stadium sports game. Our beer dispensers offer an easy pour every time with sizes varying from x2 3L tubes to large volume 11 L backpacks. All styles are insulated to keep your beverage cool and come equipped with easy-access cup holders. 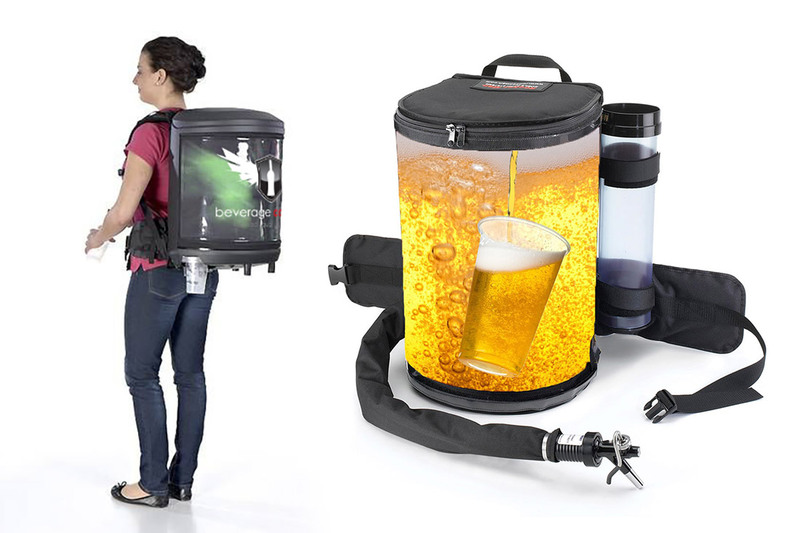 Our backpack beer dispensers are available in a variety of styles which can be custom printed or fully sublimated depending on your brand request. Our capacities range from 3L-11L and our heaviest backpack weighs in at approx. 20 kgs when full. Our portable packs alos offer insulated hoses to keep the beer cold every time it’s poured.